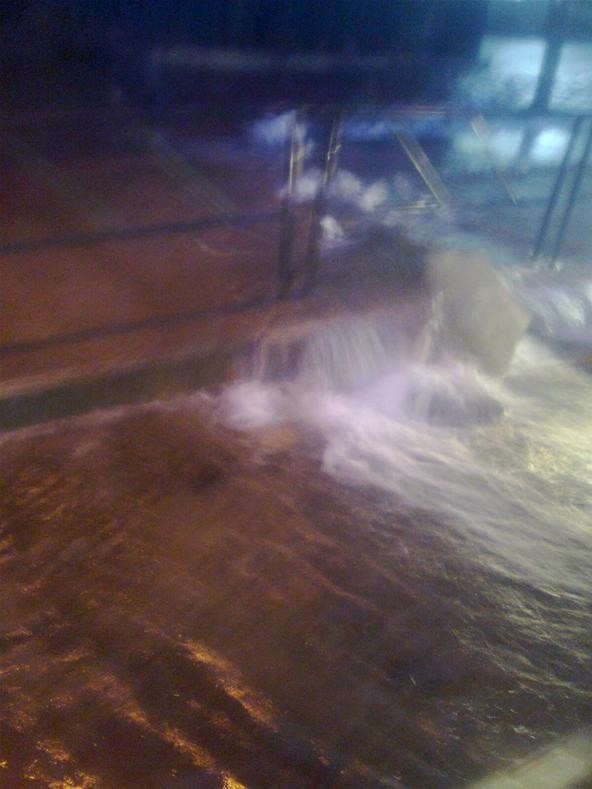 When we reached Boni Avenue MRT Station I saw the cracked sidewalk where thousands of gallons of clean water is gushing out. Grabbing my trusty phone, I took this picture of the scene. Wow! Imagine the global water supply shortage and here it is being wasted. I do not know how long till the proper authorities were notified to repair the damage because I did not see any personnel from MWSS there yet but that was a lot of water wasted. Thankfully it was repaired later in the afternoon.